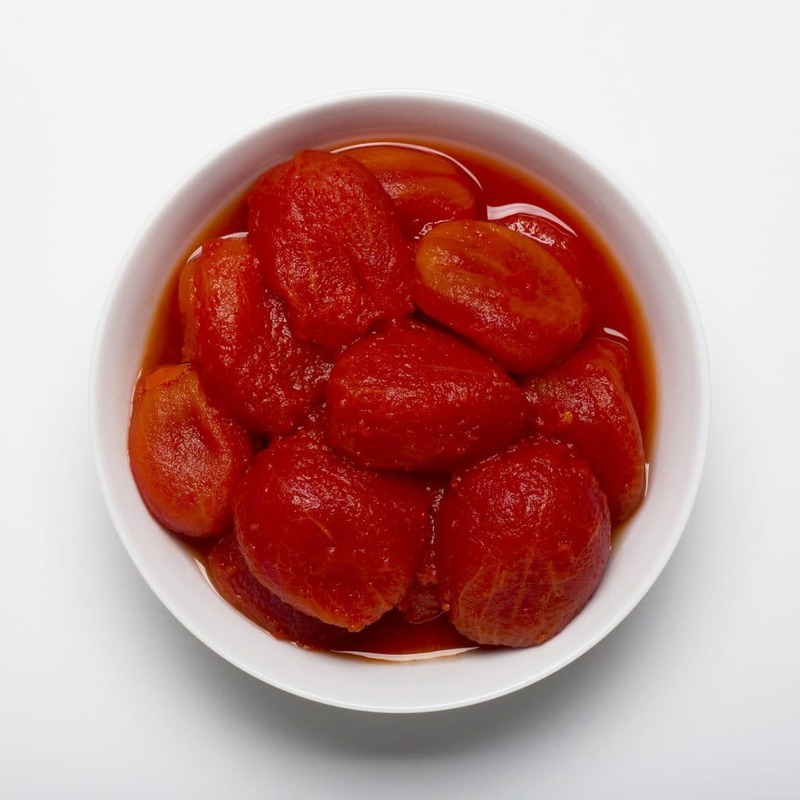 Organic whole peeled tomatoes in juice shall be prepared from organically grown round tomato varieties that have been washed, hand sorted for quality and peeled. Sea salt, calcium chloride, and citric acid are added. The rich topping juice is made from the same organically grown fresh tomatoes.